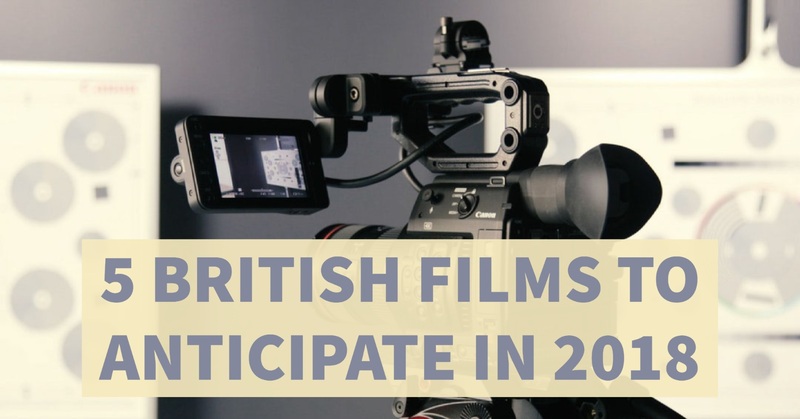 The brilliant and glamorous film production industry never sleeps, and while this year is rapidly coming to its end, it is time to make predictions and discover what is waiting for us when it comes to films in 2018. So, let’s look at them. StudioCanal plans to release this film in the United Kingdom in January 19th, 2018. It is an upcoming breathtaking thriller, created on the basis of a screenplay of B. Willinger, P. de Blasi and R. Engle. Produced by J. Collet-Serra, this film unveils the story of Michael, who earns for his living being an insurance salesman. One day, on his usual way home he realised that there is nothing in his life, except the routine. A suspicious stranger starts talking to him. After that conversation, it appeared that Michael has to identify the hidden passenger on the train in which he was returning home, and that has to be done before his last stop. As Michael bravely struggles with the time to find the solution, he understands that he is involved in a dangerous plan of a criminal conspiracy, that can bring death to the passengers of the entire train, including him. Produced by Red Rock Entertainment film finance company, this documentary is about the relationship between elephants and humans; the obstacles elephants endure from their most vicious enemy – the man. Walking with Elephants is about what we need to do to change our ways rather than what elephants are forced to do to avoid extinction. This film is supposed to be the first and principal project about elephants. Although hunting is considered to be a significant factor in the decline of elephant numbers, it is the agricultural activity that in fact deprives these animals of their natural habitats. This film aims to demonstrate and make us understand the problems that put elephants’ continued existence in danger. The breathtaking sceneries and the core idea of this film won’t let you remain indifferent. Early Man is an anticipated animated comedy film. It is supposed to be released in the United Kingdom on January 26th, 2018. The story the film created around happens in the prehistoric period, when in its early days, our Earth was inhabited by cave dwellers and mammoths. The film unveils the story of a tribe, whose members unite to protect their hometown from their angriest enemy and his Bronze Age City. Being full of emotions, friendship, love and resolute fight, this film will make you believe that our world depends on us. It also carries a rather important message: when you have family and close friends to support you, everything is possible. Are you ready to enjoy the second part of this film? Then, go to the cinemas in November 2018 to enjoy this fantasy drama co-produced by the United Kingdom and the United States. The first film ended with a cliffhanger: a powerful dark magician was caught by the Magic Congress of the United States of America. But having found a lot of friends and supporters, he escapes from the prison. He starts to unite his followers, the majority of them don’t understand his real intentions: to raise pure-blood magicians to rule the all non-magical creatures. Hoping to destroy his plans, Albus Dumbledore asks his student, who is willing to help to change the situation. But the student doesn’t know about the danger he is going to face. If you are fond of historical drama, then you should definitely attend the upcoming premiere of Mary Queen of Scots. The story is based on the biography book: The life of Mary Queen of Scots. The film tells the story of Maria Stewart’s life, who tried to overthrow her cousin Elizabeth I. As a result, she was imprisoned, and in that captivity, she spends the rest of her life until the execution. The impressive cast includes Saoirse Ronan, Margot Robbie, David Tennant, Jack Lowden, Joe Alwyn and others. The film will also impress you with its style, costumes, images, locations and incredible acting as the crew included the winners of the Academy Award, Emmy and BAFTA. So, include these films into your must-watch list and do not to forget to visit the premieres. Passionate blogger, small business development enthusiast and beginning international law specialist. Writing about everything related to lifestyle, personal finance, start-ups and branding.